I wish I'd had a kit like this a few years ago when I tackled all my papers... it took me a lot longer than a weekend to organize it all! You can read about what I did here and here. I'm still pretty much doing the same thing, and it's still working. Many of my clients struggle with their paperwork however, and I know many of you do too. 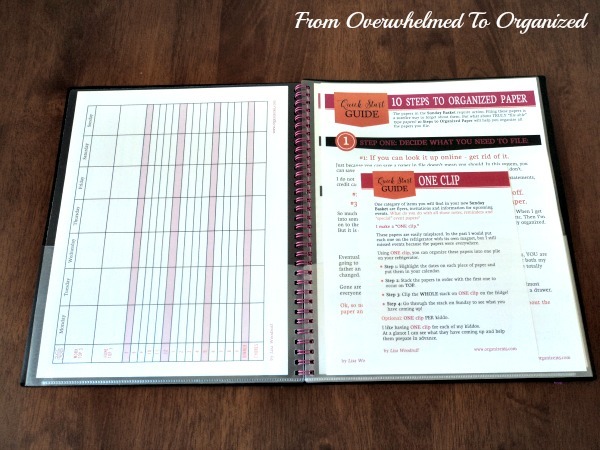 So when my friend Lisa from Organize 365 asked me to review her "Get All Your Papers Organized in One Weekend" kit, I was happy to check it out! 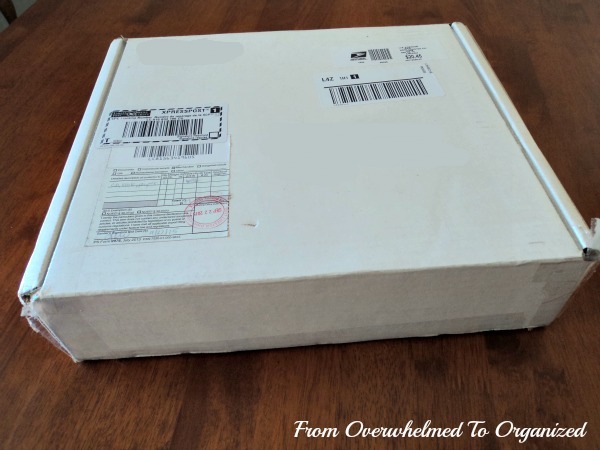 Note: This post was sponsored by Organize 365 and I received a free kit from Lisa, but all the opinions in this post are 100% my own. I've included links for you to buy a kit yourself and these are affiliate links, which means if you purchase after clicking one of these links I will receive a small commission at no additional cost to you. 1. What's In the Get All Your Papers Organized in One Weekend kit? I love getting parcels in the mail! Lisa's kit arrived on my doorstep in this box. The best part of getting parcels is opening up the box and seeing what's inside. Here's everything that came in my Get All Your Papers Organized in One Weekend Kit. 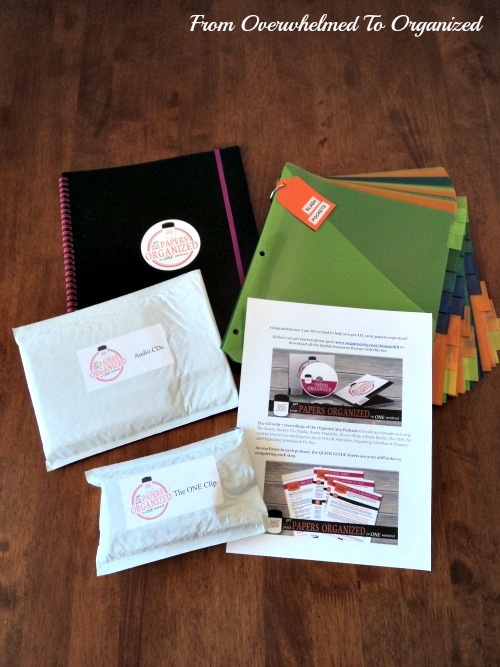 Kits now also ship with printed copies of Lisa's ebooks The Sunday Basket and 10 Steps To Organized Paper (I got digital copies). When you open up the kit there's a sheet telling you what to do first. This is great because you can jump right in! 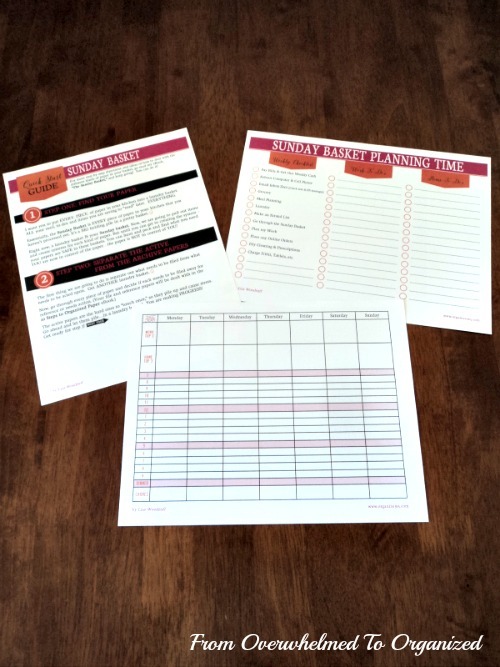 The first set of guides and printables are about the Sunday Basket, which is one of the keys to your new paperwork processing system. If you deal with all the papers you need to deal with every Sunday (or whatever day works for you! ), then they never become too overwhelming. There are also quick start guides for the rest of the elements of the kit. These rainbow coloured to-do lists are great for tracking all your tasks according to category (and you can pair them with the pocket folders so you can keep all the paperwork associated with each category together!). You get digital copies of these with your kit as well so you can keep printing them as needed. Since I wasn't actually organizing piles of paperwork from my home, I wasn't able to use some elements of this kit personally. 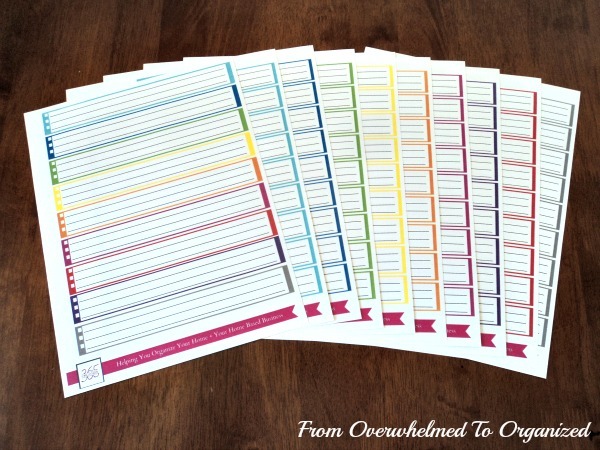 But, as a professional organizer, I can tell you, this kit would really help many of my clients and many of you! I will definitely be recommending it to clients who don't have a functioning system to deal with their paperwork. The printable weekly planner in this kit was very helpful for visualizing my week, and making sure I don't over-commit myself or have unrealistic expectations on my to-do list :) Having a spot for Work top 3 and Home top 3 makes me focus more on what I really need to do. 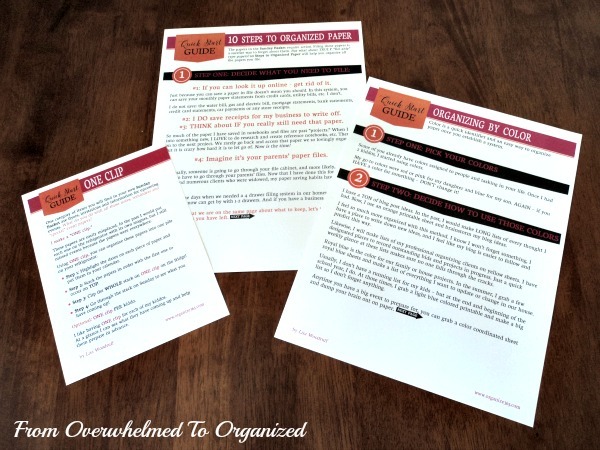 What do I Think of the Get All Your Papers Organized in One Weekend Kit? It doesn't require a lot of time to use this kit to tackle your paperwork. You really can tackle all your papers in one weekend. Of course, developing the habits to maintain the system you set up will take time, but the initial stage is easy to manage with this kit. And that's usually the most overwhelming part! You can make the elements of this kit work for YOU! You create your own categories of paperwork. You choose which colours represent each aspect of your life. You decide how you want to use the pocket tabs. Lisa gives you the direction you need and you can adapt it to your papers, your family, and your routines. This kit really is all you need (plus a little time and energy!) to tackle all your paperwork! The only thing I'd change about this kit (and it's a very minor thing), is I'd make the coloured lists match the coloured pocket tabs (both the actual colours and the order of the colours). I started setting up a binder with a main rainbow list at the front and I was going to put a coloured list in each corresponding coloured pocket, but they didn't quite match. It's a little thing though... the main idea is to use the pockets to collate papers related to each different area of my life and I can still do that, even if their colours don't match. I mentioned my concern to Lisa and she said she can't get the pockets in the colours she wants, but, she's working with a manufacturer now. Yay! 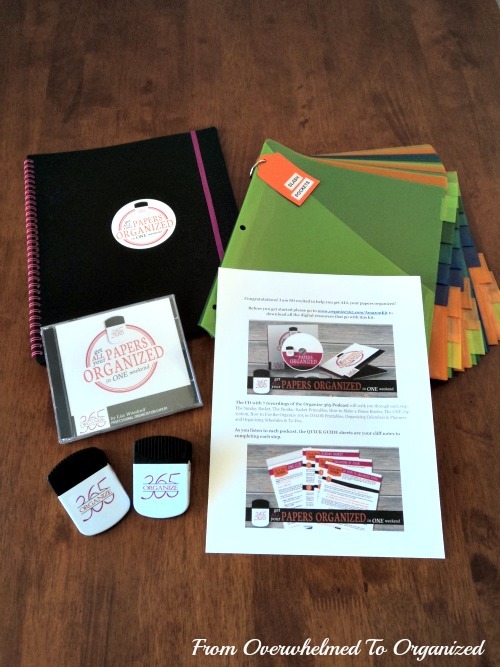 Soon there could be a whole custom line of Organize 365 products! 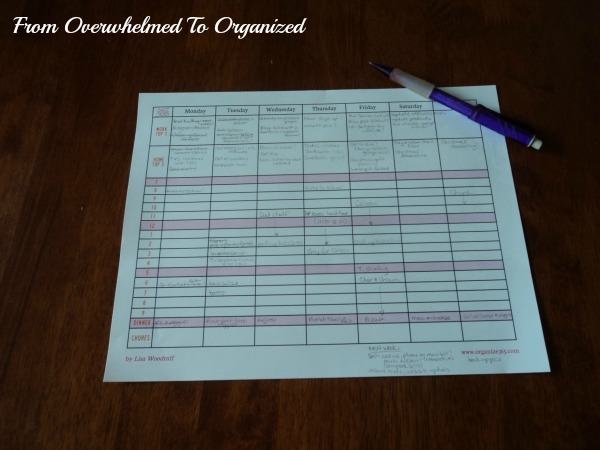 Thanks Lisa for the opportunity to review your Get All Your Papers Organized in One Weekend kit! I know it's going to help a lot of you get your papers organized. And I'll be able to show this kit to my organizing clients so they can buy one to organize their paperwork. 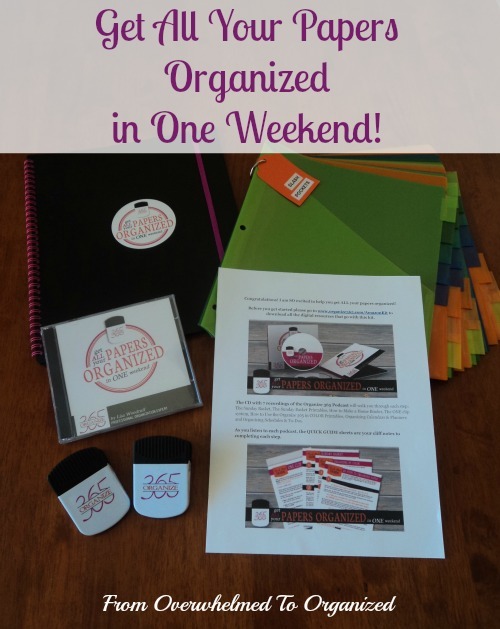 If you'd like to tackle your papers in one weekend, and set up a system for dealing with them on an ongoing basis, then I definitely recommend the Get All Your Papers Organized in One Weekend kit from Organize 365! You can get yours here. What do you find the most challenging part of dealing with paperwork? How do you deal with incoming papers in your home? Looks like a great idea! I have a huge problem with the paper monster, so I'm going to look into it! Getting started is often the hardest part and it sounds like Lisa's system will help people get past that hurdle. Definitely Janet! It's perfect for getting going in a way that's not overwhelming. Hilda, I love that you reviewed Lisa's kit! I absolutely love her blog, podcasts, Sunday Basket, etc.! She's great isn't she Nicole?! She shares a lot of great organizing tips. What a great review! I was just talking with a client today about paperwork struggles; I'll have to suggest this to her! Thanks!! Yes, I find so many clients struggle with paperwork so I'm glad to have a product like this that I can recommend to them. Glad you liked it too!